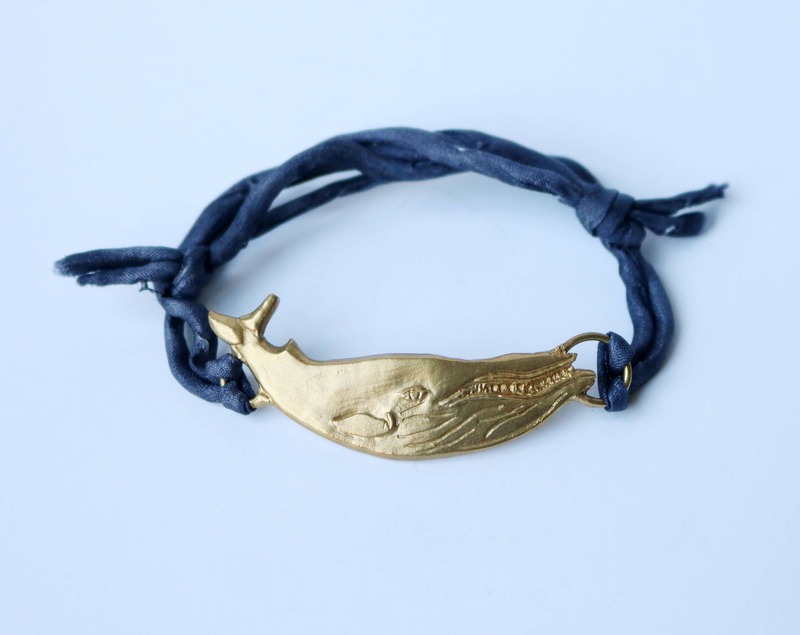 This brass humpback whale bracelet is perfect for any ocean lover. 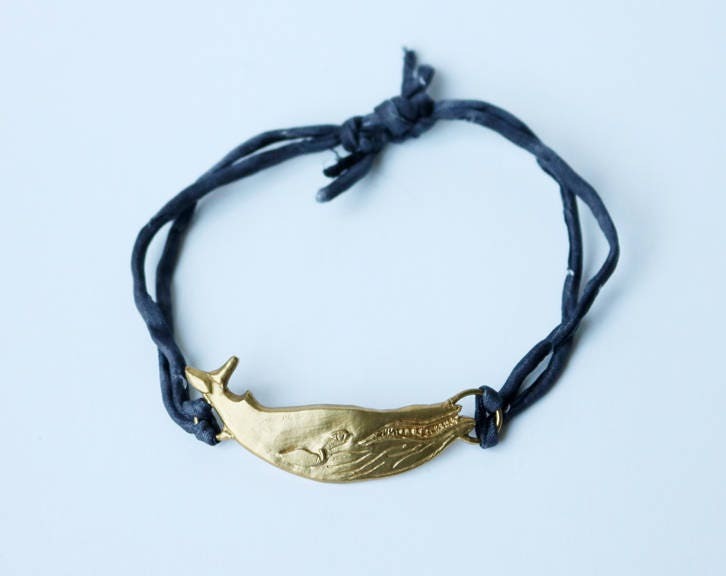 The charm was hand carved using the lost wax casting method. 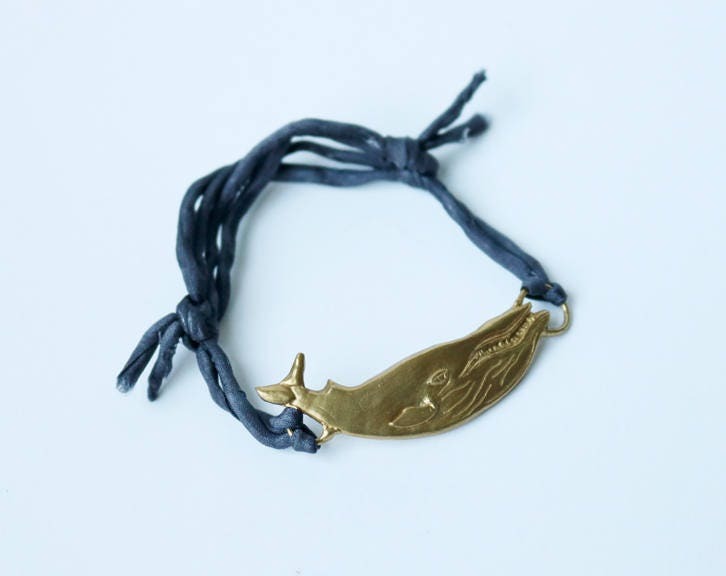 The silk is very soft and adjustable, making it versatile and an easy gift. Available in 2 sizes - small and large. Both are adjustable, the small will fit children, women, and some smaller framed men. The large will fit most other men.